An entirely free shopping cart solution. How much does AbanteCart cost ? AbanteCart is a free software. Pros: It's free and user-friendly. It has a multi-site management feature. It's back-end interface is easy to understand and operate. It handles a large amount of project without a noticeable draws in performance. Cons: Can't communicate with clients through it's interface. No images and formatting of newsletters, because it lacks html features. Lots of system generated translations. It's filled with indecent and unwanted templates. It lacks integration features like, affiliate platforms, payment processors etc. Overall: AbanetCart was what my company was looking for in starting and displaying it's product and services. It has a user-friendly interface and easy to understand and operate, but I'll recommend adding more useful themes and templates. Also, more add-on features should be added to make it even more fun to use. 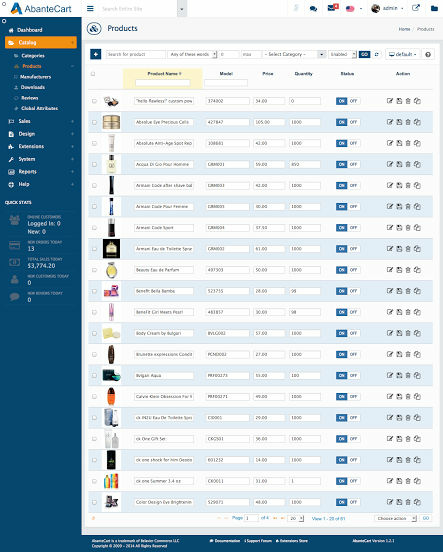 Pros: We use AbanteCart to create a shopping application that is more SEO friendly and easy customize. AbanteCart is the best open source tool to create any sort of website in a matter of time. Free and open to all is the key feature we love about the AbanteCart platform. Cons: The support is a bit slow and needs more attention, please respond to mails more faster manner. Overall: AbanteCart helps us to create applications that are cost effective and SEO friendly. There are lot of plugins that AbanteCart provide to make development easier. Pros: its unique and intriging. Cons: the recaptcha or captcha is still giving me a problem. new stores links are are not working. Overall: i started using abantecart in 2015 in january but up to now, have never got glitches, dumpings, ; extensions are nywa, security is guaranteed, easy to use application. numerous payment gateways , your choice . Pros: The system works fine for my customers. Orders go through fine. Cons: I really hate that I put so much work into the free version to have things shutting down on me. So now I will eventually have to buy something. 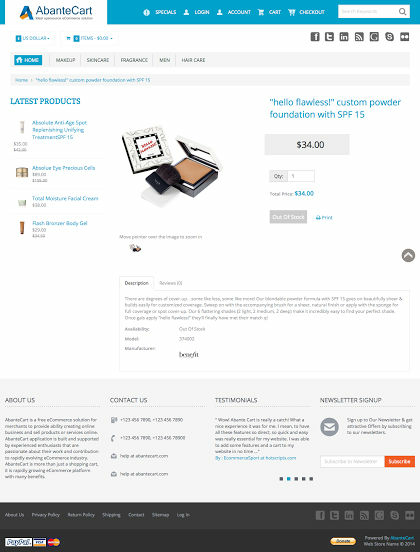 If everything worked the same as it did when I started using the cart - I would not be disappointed and I would probably refer it to others. I will be referring people to zen cart instead because they have an actual free cart that doesn't shut down on users over time. Overall: I am just disappointed that I cant depend on the cart. It has become unstable and its has now turned into a liability. What do you mean by shutting down? there is no reported issues in AbanteCart that cause it to shutdown. If you refer to shutdown in your hosting service, that has nothing to do with AbanteCart software. AbanteCart is absolutely free an you are not obligated to purchase anything. Hosting, on the other hand you need to have for ANY web site. You do not pay for hosting to AbanteCart. Overall: I am impressed with their customer support. I am a regular visitor to their forum http://forum.abantecart.com/ and you can see how responsive they are. I had issues with setting my SSL and I asked a question their and one of their team member replied in few hours that solved my issue. Pros: AbanteCart is a high quality, stable, beautiful, easy to use software. I am happy to use it. Cons: There is not a free extension for Bulgarian language. Overall: I am a newbie yet. 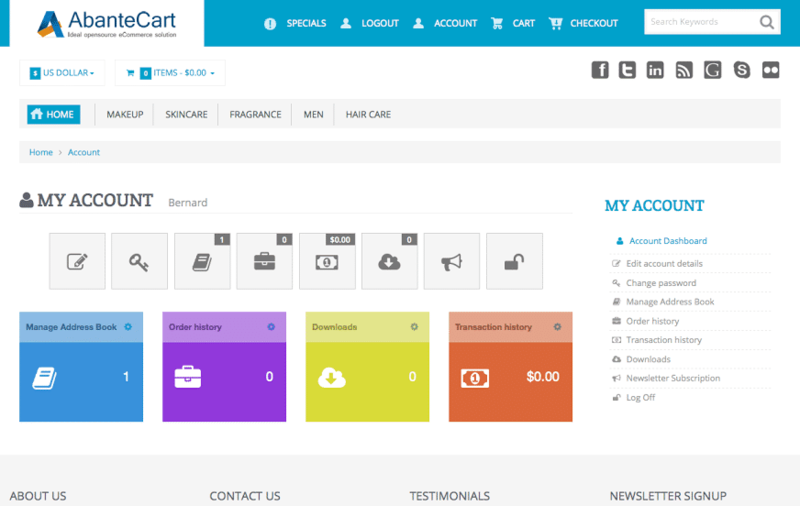 Pros: If you use AbanteCart anyone can sell products or services online to anyone you can reach on the internet. Everyone knows that most people now prefer shopping online . Cons: It was a little tricky at first to get everything implemented. 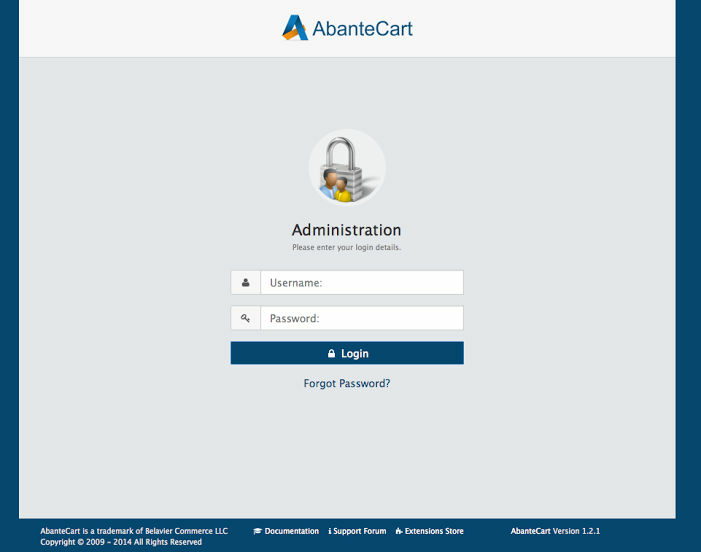 Overall: AbanteCart is a good software option if you are a small business, or possibly even a larger one. I am a small business and it has worked well for me. Reviewers Choice scores and graphics are derived from individual end-user reviews based on their own experiences; they do not represent the views of Gartner or its affiliates.